"CAMEL-FLAGED": We are indebted to Mr. Grenville G.O. 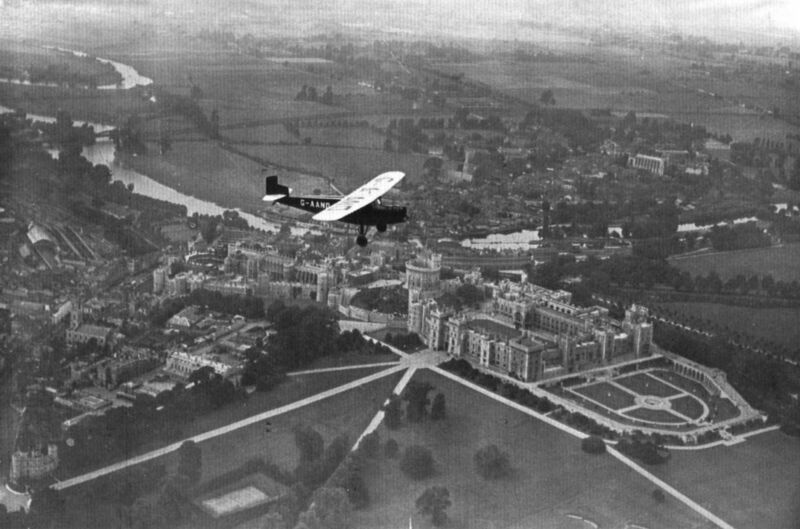 Manton for this photograph of a Sopwith "Camel," until recently his property, which he had modified somewhat. It was fitted with a 40-45 h.p. Anzani engine, and flew quite satisfactorily, though naturally, with a greatly reduced performance. THE D.H. 34: A single-engined (Napier "Lion") high performance machine previously employed on Instone Air Lines and Daimler Hire, Ltd. THE HANDLEY PAGE W.8B: This machine was a 14-passenger, twin-engined (Rolls-Royce "Eagle") biplane, originally in service with Handley Page Transport, in 1922. 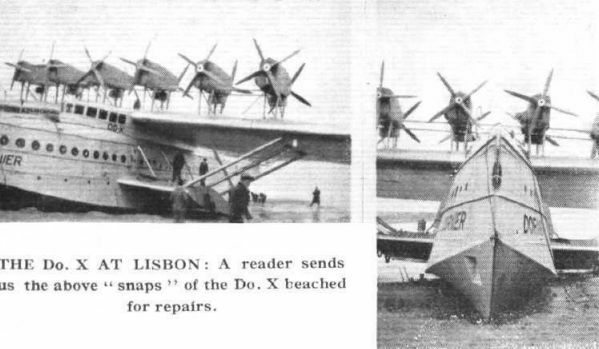 THE Do.X AT LISBON: A reader sends us the "snaps" of the Do. X beached for repairs. THE ARMSTRONG-WHITWORTH "ARGOSY": Since 1926 this has been the machine to do most of Imperial Airways' landplane work. The engines are Armstrong-Siddeley "Jaguars." Lt. Comdr. 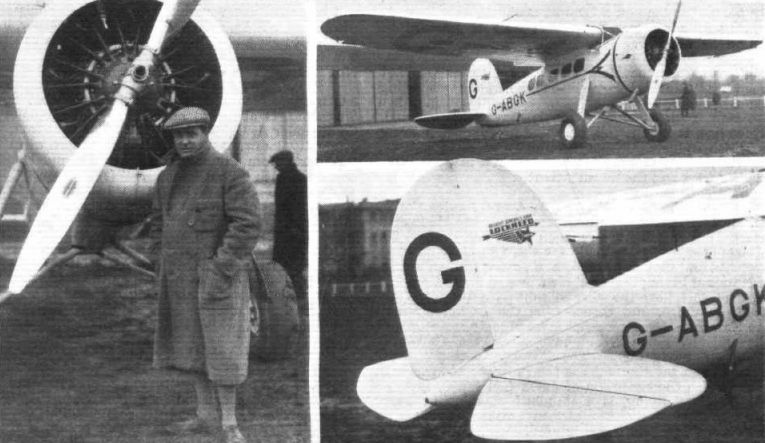 Glen Kidston (left) with his Lockhead "Vega" monoplane (450 h.p. Pratt and Whitney "Wasp") which he "tried out" at Croydon last week. Lt. Cathcart Jones also took a turn at the "stick." Note, from the two views on the right, the N.A.C.A. cowling and the very neat metal monocoque fuselage. LE RENARD METALLIQUE: The Fairey all-metal "Fox" with Rolls-Royce F type engine is a high performance bomber. Its excellent qualities have received recognition recently in the form of substantial orders from the Belgian Government. The machines for Belgium will be almost identical with the British version shown here. The Westland "Wapiti," Mark V, G-AAWA, fitted with an Armstrong Siddeley "Panther," which has been sent out to South America to give demonstrations. 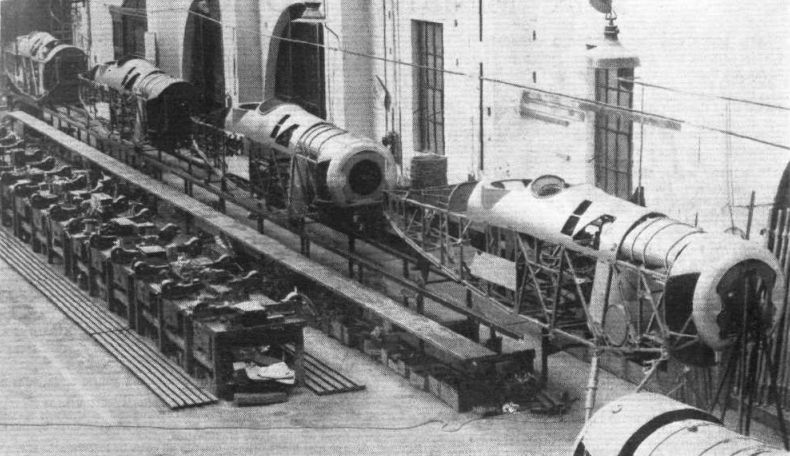 THE SECONDARY ASSEMBLY LINE: In this, which is 100 ft. long, there is room for four "Wapiti" Fuselages. THE FINAL ASSEMBLY LINE: Small castor wheels are fitted on the axles to enable the machines to be moved sideways or forward. 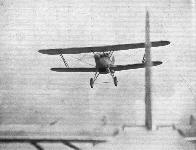 THE BREDA 19: A single-seater biplane lor high aerobatic work, powered with 200 h.p. Armstrong Siddeley "Lynx." THE HANDLEY-PAGE "HANNIBAL": Fitted with 4 Bristol "Jupiter" engines, this machine, which was designed to carry 42 passengers, is intended for the European and Cairo-Karachi sections of the Empire air routes next summer. 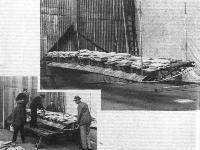 LOAD-TESTING THE "PUSS MOTH": These two photographs show a "Puss Moth" wing being loaded up with shot and, in the upper picture, supporting a load of 4,530 lb. A few seconds after this photograph was taken the wing collapsed. The factor required is 5 1/2, and this was actually slightly exceeded. 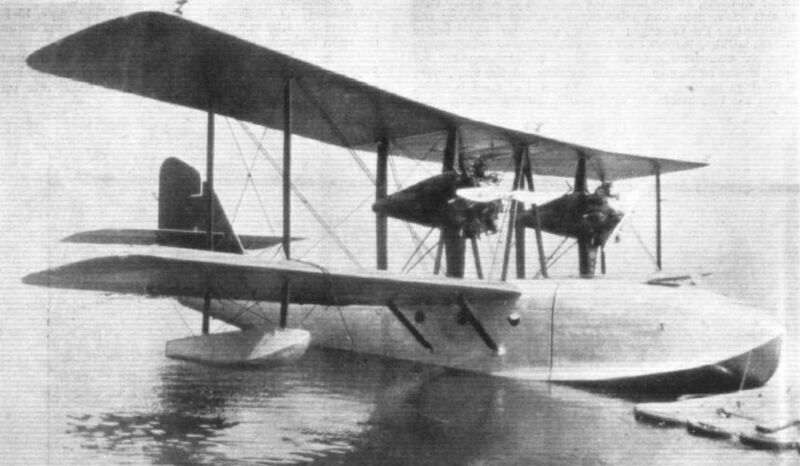 THE CANADIAN VICKERS "VANCOUVER," MARK II: A metal-hull flying boat accommodating six passengers and two pilots. Two Canadian Wright J-6 300-h.p. engines are fitted as standard, but Armstrong Siddeley "Lynx" engines can also be fitted. The little American Aeronca - or "Flying Wigwam" - flying at Croydon. A "FLY-WEIGHT" MACHINE: Mr. S. A. Thorn ready to take off in Col. Ormonde Darby's Aeronca. AFTER THE BAPTISM The B.P. (Jo. 's new Avian (Hermes II) ready for business. FOR THE BUENOS AIRES EXHIBITION: This Avro "Avian" , "Cirrus-Hermes" II engine, has been shipped to Argentina, where it will be used for demonstration flights at El Palomar aerodrome. THE FATAL STROKE! Mrs. Taylor photographed just after striking the fatal blow! Mr. Allen, of Henly's, evidently thinks his aircraft worth such an anointing. 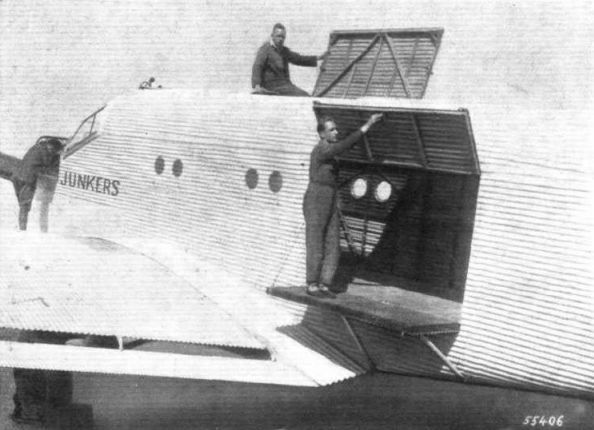 One of the three-engined Ford airliners, employed by National Air Transport (Inc.) of America, with the ingenious wing mail compartments. 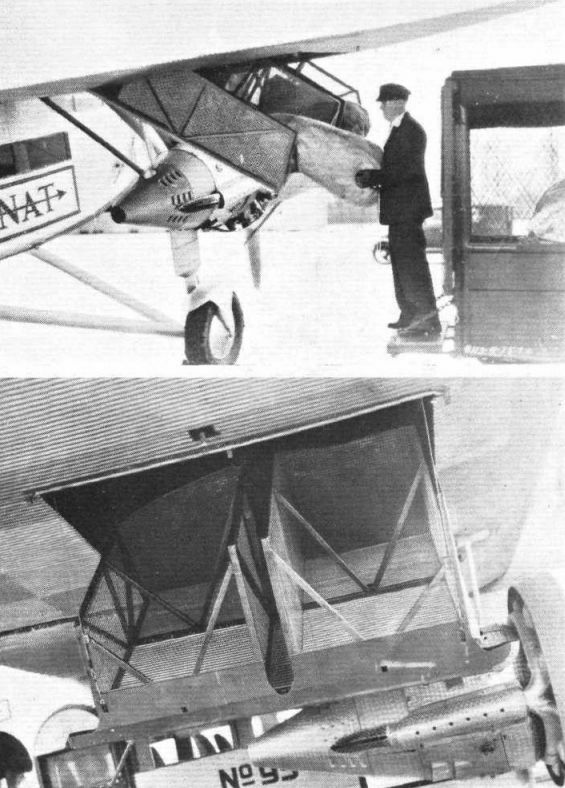 How the mails are placed in the ingenious wing mail compartments is shown in the top picture, while the lower picture shows an interior view of the compartment. The "Bluebird" (Gipsy II) arrives at Croydon. 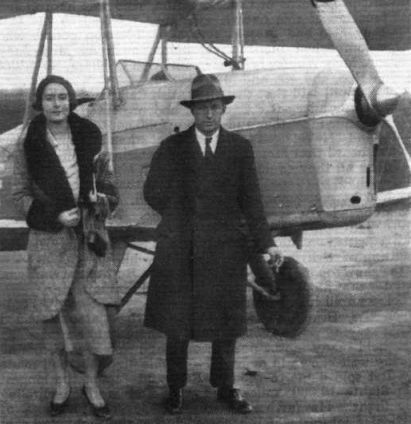 EN ROUTE FOR THE CAPE: Miss Reynolds and Mr. Pudney, who will shortly be flying to the Cape by the west coast route in the first Bluebird to be fitted with a Gipsy III engine. THE "FLYING CARPET": Two americans, from California, Moye Stephens and Richard Halliburton, are carrying out a tour round the World in his Spearman biplane, fitted with a Wright "Whirlwind" engine. They arrived in this country with their machine, by boat, last week and flew to Heston Air Park on February 10. It is probable that they will resume their tour from Heston today - Friday - and they expect to complete their journey in two years. A MACHINE WHICH LIVES UP TO ITS NAME: The latest Comper Swift (50 h.p. Salmson), a fast handy little one-seater and the property of Mr. Gordon Selfridge. Selfridge's, it may be of interest to note, have ordered eight Comper Swifts - two with Salmson engines and six with the new Pobjoy engine. FOR THE AFRICAN AIR ROUTE: The "AW. 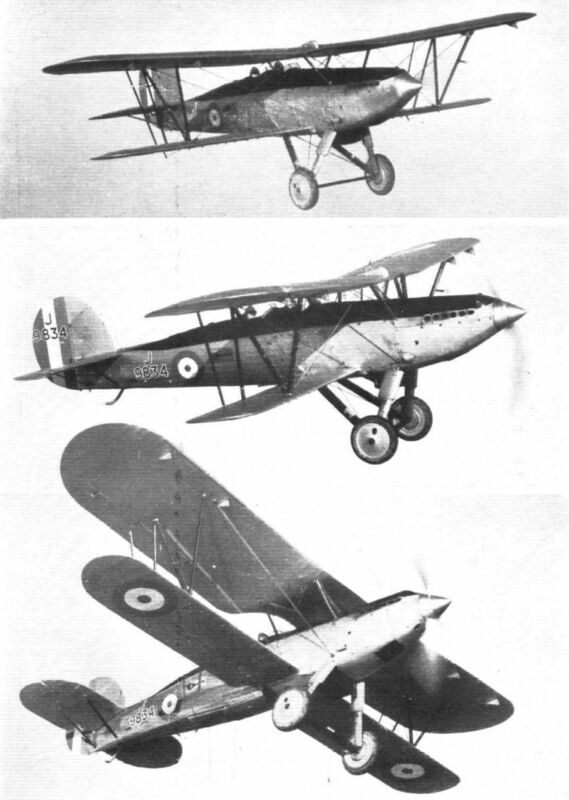 XV" four-engined monoplane, which is being built for Imperial Airways by Armstrong-Whitworth, Ltd. It has four Armstrong-Siddeley "Double-Mongoose" engines. 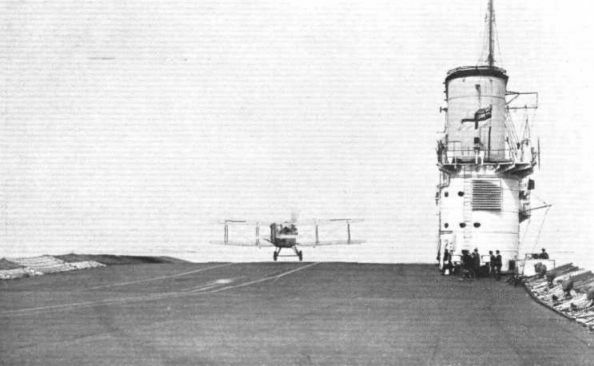 THE "ISLAND" ABEAM: A Fairey IIIF taking off from the deck of H.M.S. "Glorious". We are looking forward at a Fairey III F which is just taking off away from us. This view shows very clearly that, although the III F has a comparatively large span, she still has plenty of room when abreast the funnel or island, as it is called in this craft. 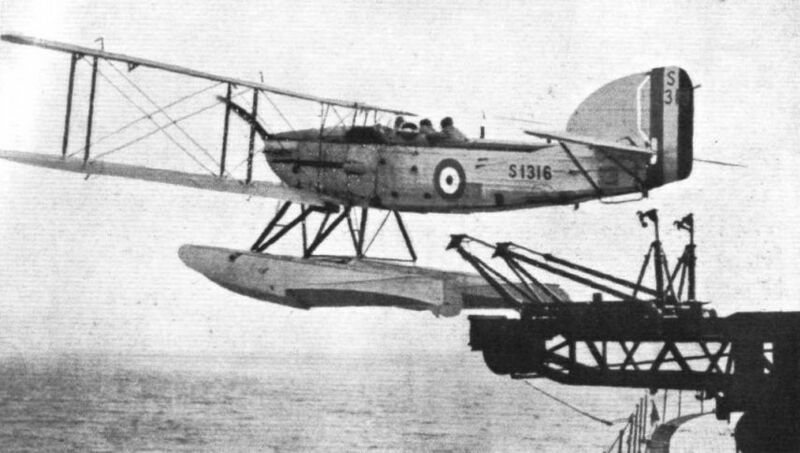 CATAPULT LAUNCHING OF AIRCRAFT: This photograph of a Fairey III F seaplane being catapulted off is reproduced by courtesy of the Admiralty. Fairey IIIF Mk IIIM S1316 being launched from a Mactaggart Scott catapult in 1931. 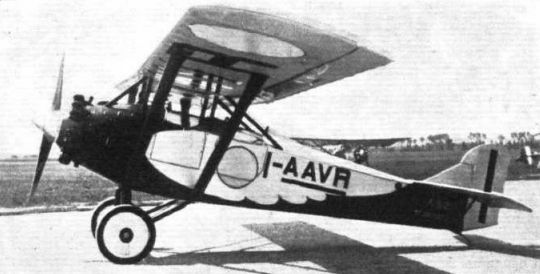 A SUCCESSFUL FRENCH LIGHT 'PLANE: The Farman F. 230, with 45-h.p. 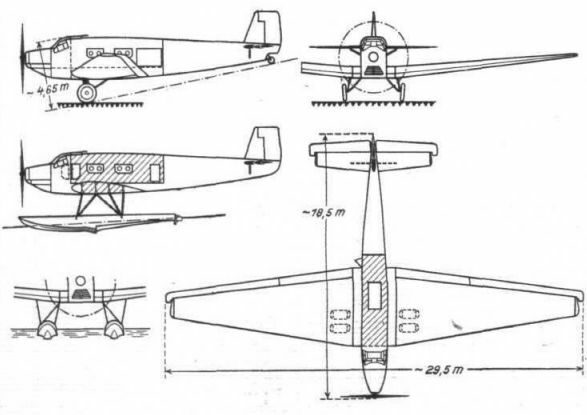 Salmson, which is another version ot the F.231 (100-h.p. Renault), on which Lalouette and de Permangle established the light 'plane long-distance record recently. 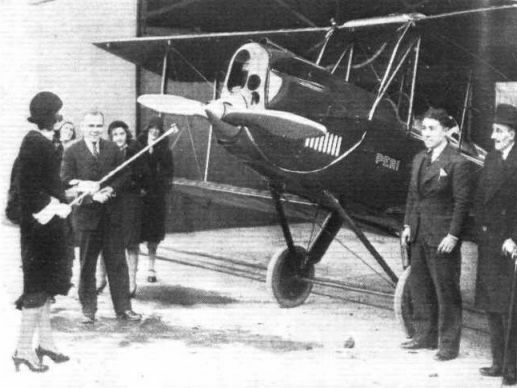 The first A.S.2 light 'plane used by the three Italian pilots in their flight round Africa. ABOVE WINDSOR CASTLE: A remarkable view of the Castle with the River Thames in the background. The machine is a Hermes-engined Desoutter belonging to National Flying Services. 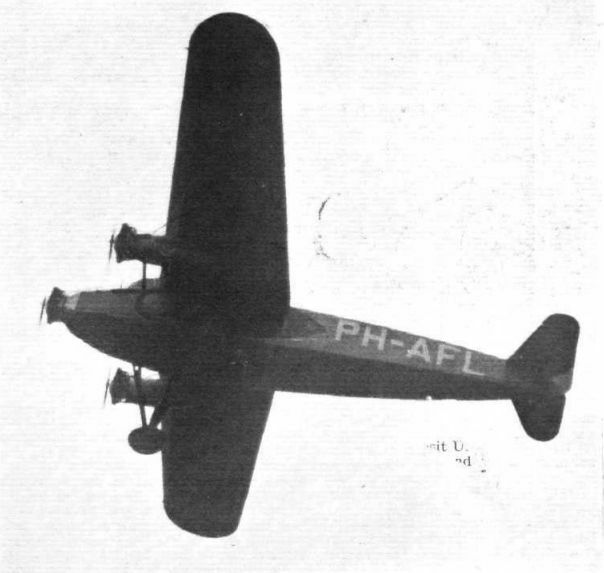 THE FOKKER F.XII: Side view. Note the length of fuselage in proportion to wing chord. THE NEW FOKKER F.XII: Taxying out for a Demonstration flight at Croydon. FRONT VIEW OF FOKKER F.XII: The Pratt & Whitney "Wasps" are neatly arranged. The Fokker F.XII taking up passengers at Croydon. The Hawker "FURY" Interceptor Fighter with Rolls-Royce "F" Engine has been selected for R.A.F. 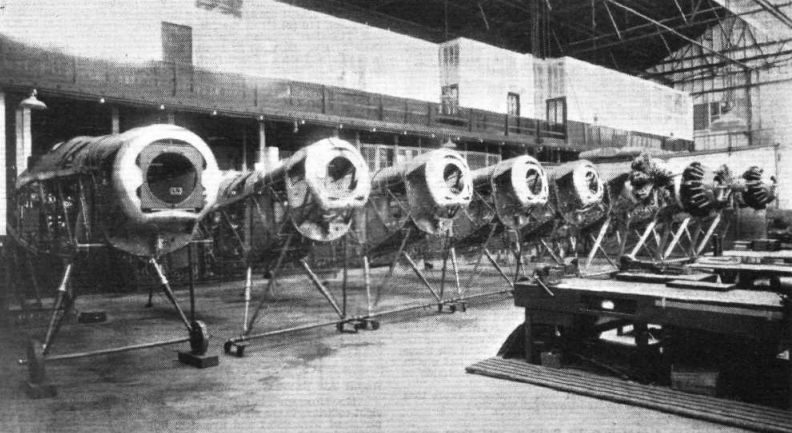 equipment after extensive competitive trials - further proof of the all-round superiority of Hawker aircraft. The all-metal Junkers Ju.52 which with the B.M.W. VII, 700 h.p. engine has a payload of 4,680 1b. with a 622-mile range or 3,210 lb. when the range is increased to 1,244 miles. 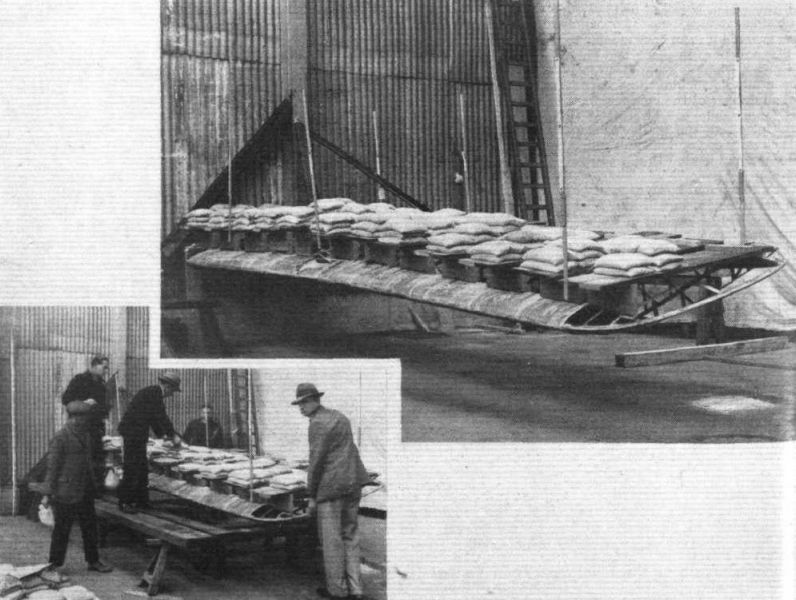 Mr. McDonough opines that the low-wing type will not be so easy to load as the high-wing type when on floats - an important point under N.W. Canadian conditions. Three-quarter front view which shows the mounting of the wing flaps, giving a species of slot effect over them. View showing the side and top batches for loading. The metal floor of the cabin is covered with 3-ply wood, and in the space between that and the bottom are the lockers for valuable goods. 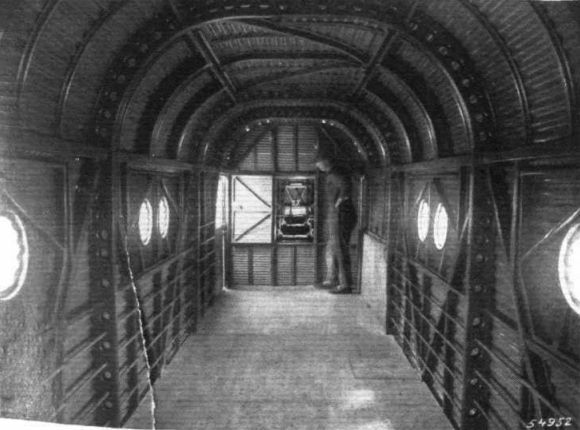 An interior view of the cargo space. 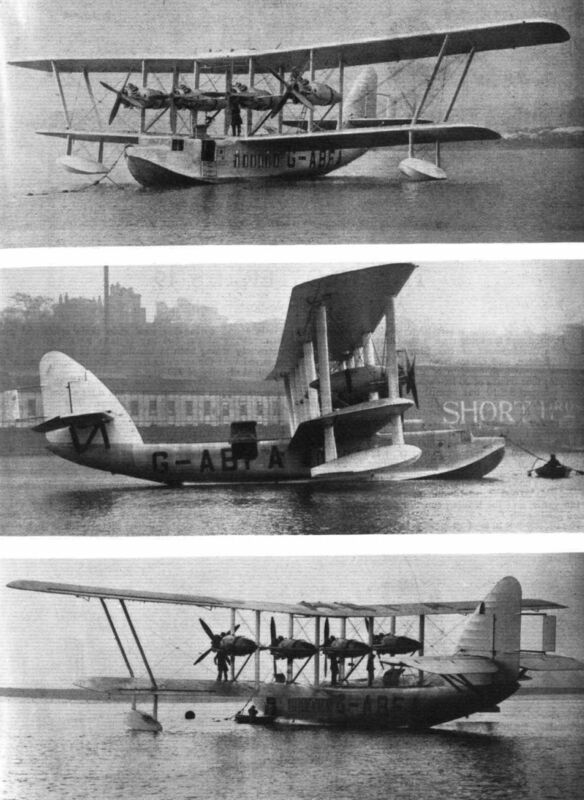 A WONDERFUL NEW FLYING BOAT: The first of the Short "Kent" class, to be named "Scipio," was launched at Rochester on February 24, and made a perfectly successful test flight, piloted by Mr. Lankester Parker. The machine, which is equipped with four Bristol geared and medium supercharged "Jupiters," is one of three ordered by Imperial Airways. Mr. I. Mole (left) who put up a flight of 1 hr. 2 min. 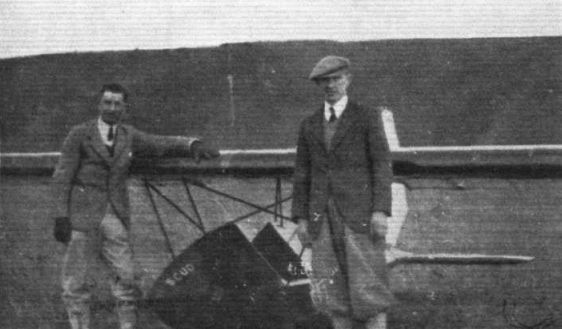 on the "Scud" Intermediate glider which was designed by Mr. L. E. Baynes (right). 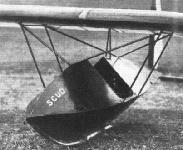 Front view of the "Scud" showing the triangular fuselage. Three-quarter rear view of the "Scud" glider. 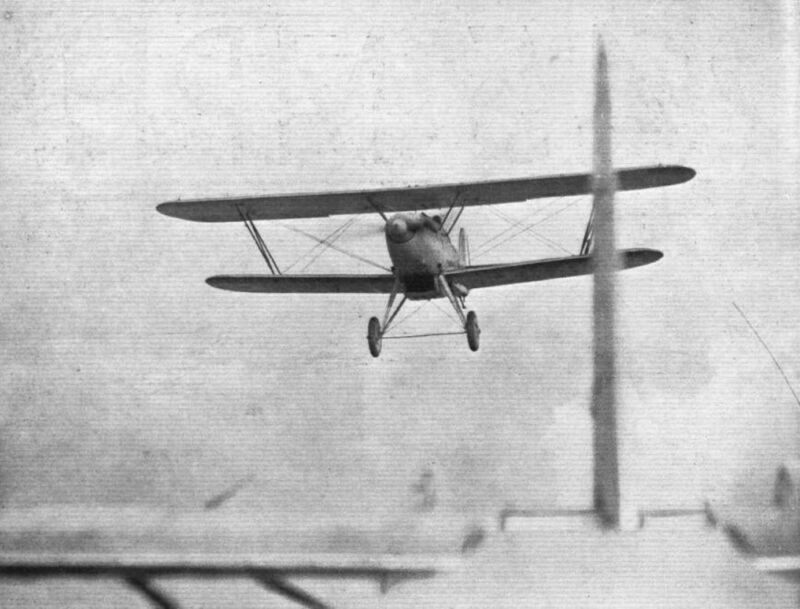 Two views of the Baynes "Scud" making its one-hour flight at Dunstable. AN AMERICAN TWO-SEATER GLIDER: This machine was designed by the Leonard Motorless Aircraft Corp. for dual instruction. The fuselage is of steel tube construction. 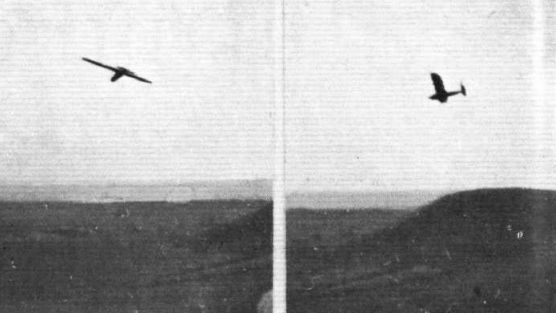 THE "FALCON FOUR": Two views showing the machine in flight. The engines are Hermes II's. The machine is being built to the order of the Hon. Mrs. Freeman-Thomas. Mr. S. W. Vine and his sailplane.